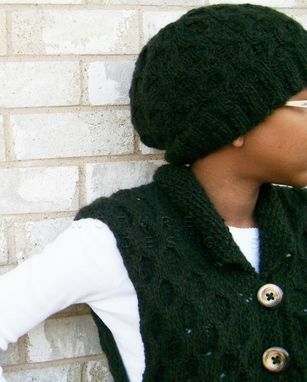 Designed for the casual urban lifestyle this textured cabled vest and hat are the latest additions from my personal collection! 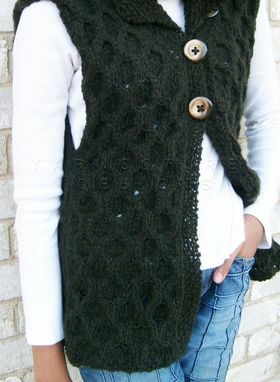 Hand knit in incredibly soft virgin merino wool and alpaca yarn, the vest features a unique cable design on the front and back. Designed to be versatile, it can be worn with a simple knit top or turtleneck or with a lightweight shirt in warmer weather. 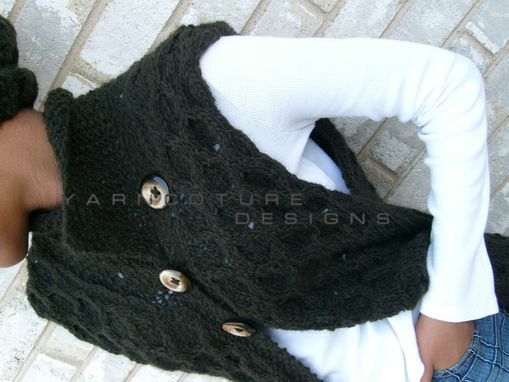 The collar flips up for a touch of "haute" or flips down for a more conservative look. 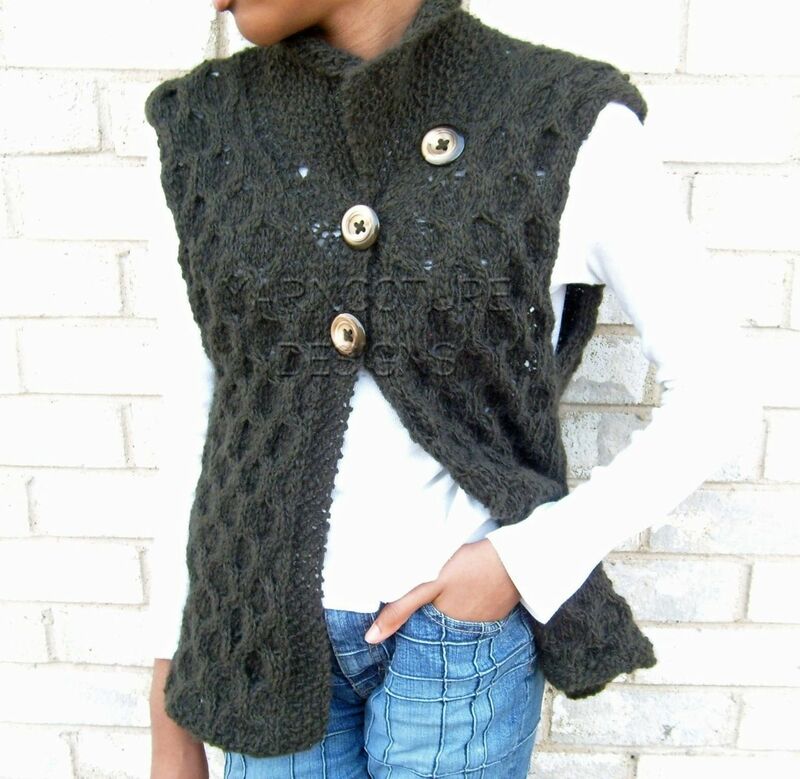 Three big buttons are affixed atop, complementing and completing the look. 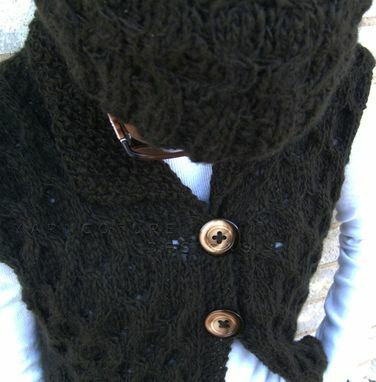 The matching hat sports the same cabled design while complimenting the vest perfectly. The purchaser of this ensemble will be receiving the very first piece of this original design!! Definitely a pair to add to your personal collection, this vest and hat will give you an urban look while you are out and about with friends or shopping. Care - Hand wash in cool water, squeeze out excess water in a dry towel being careful not to wring or twist, then lay flat to dry.